KATHMANDU, Nov 06: An agreement has been signed between IME group and Palpasa Cafe in which the costumers using privilege card of the group and the privilege card holders will be given discount up to 15% while having the foods and drinks in the cafe. All the employees of the company related of the IME group company can enjoy this offer by showing the card in the outlet. 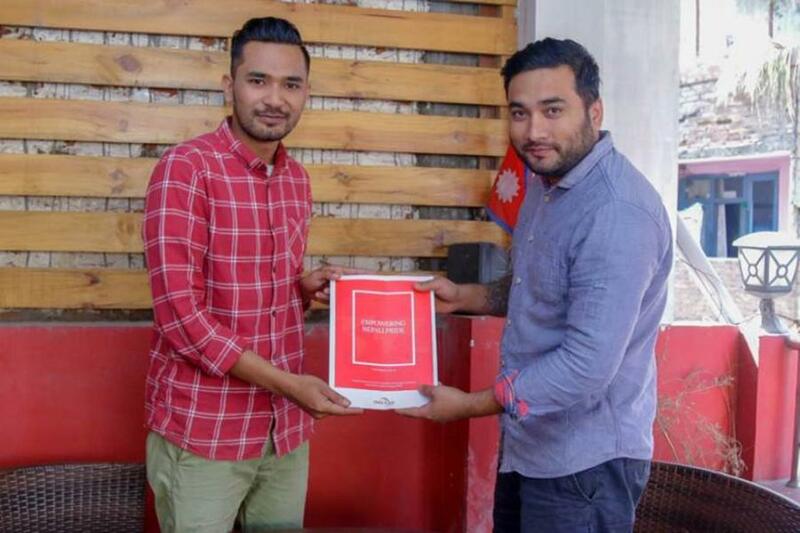 The agreement was signed between Managing Director of IME Group, Abhinash Shrestha and Proprietor of Palpasa Cafe, Riwaj Shah. This agreement will be valid up to 2 year and it will start from November 10. IME Group is one of the leading business groups of Nepal with an investment outlay of US 100 million ploughed in a gamut of diverse sectors such as remittances, banking & insurance, automobiles, energy (hydro-power, industrial gas), logistics, IT, infrastructure and tourism.